What is a Phoenix? According to Herodotus, the ancient philosopher, the mythological bird builds a nest in an oak tree every 500 years. Here, it bursts into flames and then transforms into a baby Phoenix from the ashes. This bird represents immortality, everlasting vigor, light, and knowledge. Ancient philosophers considered the Phoenix a leader and a symbol of hope. The Phoenix Mascot: On May 9, 2000, Elon announced the new mascot. The reveal took place during College Coffee, and a large egg hatched a 14-foot banner and smoke showing the replacement of the Fighting Christians. 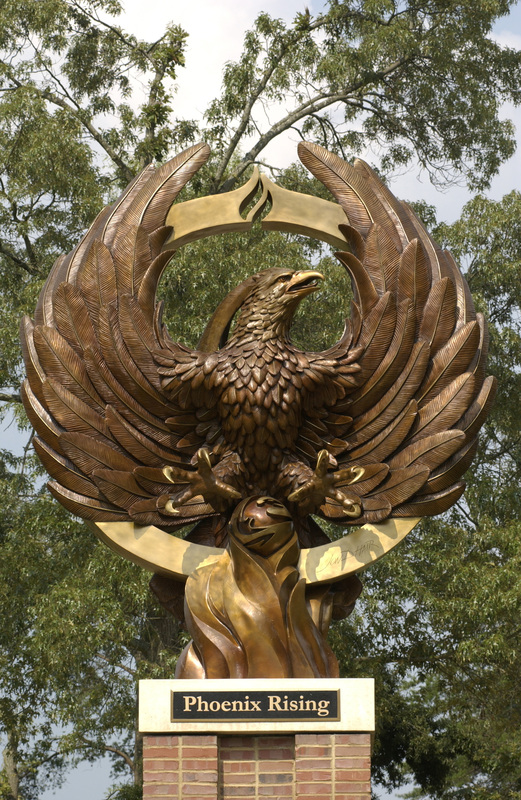 After considering about 125 names, the Elon College community members chose the Phoenix as their final choice because of the 1923 fire (that destroyed the Old Main Administration Building) and the college’s recovery. During halftime of the football game on November 4 (Homecoming Reunion Weekend) the Phoenix mascot made its debut. The 6-foot bird with maroon fur, blue eyes, and a gold beak was made by Street Characters, Inc. in Calgary, Alberta, Canada. Phoenix Rising Statue: On the north side of Rhodes Stadium, a 19-foot bronze sculpture of a Phoenix stands. The Phoenix Rising statue was designed by artist Jon Hair. It is a phoenix rising from flames which engulf a globe-shaped egg. At the top of the sculpture, another flame represents the anticipated return of the Phoenix to fire. It is mounted on a brick pedestal. The sculpture was part of a series of gifts given in 2001 from Irwin and Carol Grotnes Belk, and was dedicated on September, 20, 2003. 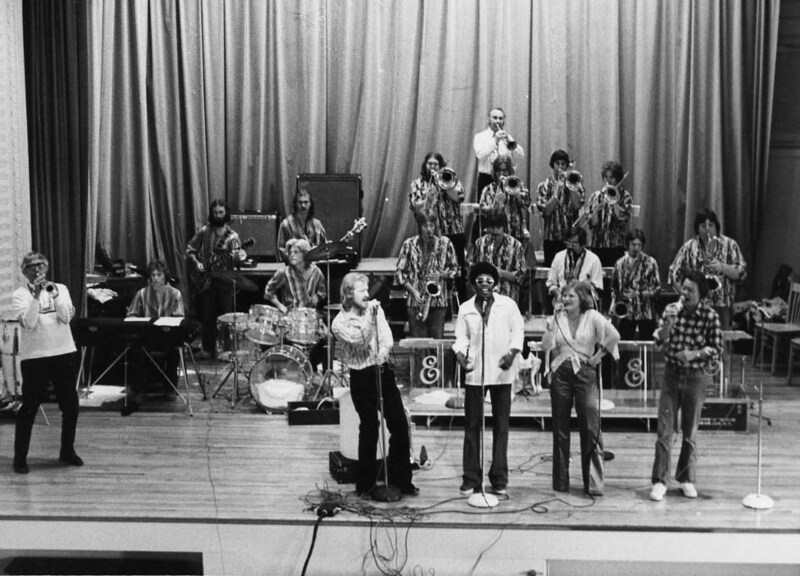 The Emanons in the 1970s.